Newman University announces the formation of a new School of Catholic Studies, which houses theology, diaconate and pastoral ministry programs for undergraduate and graduate students. The new school also includes formation programs for seminarians in the dioceses of Wichita, Kan. and Little Rock, Ark. In addition to bringing existing programs together “under one roof,” the Newman School of Catholic Studies will provide expansion opportunity for a variety of future program areas. Currently, the school is in the planning stages for a two-year Catholic Studies degree, which will focus on the great books of the Catholic tradition. 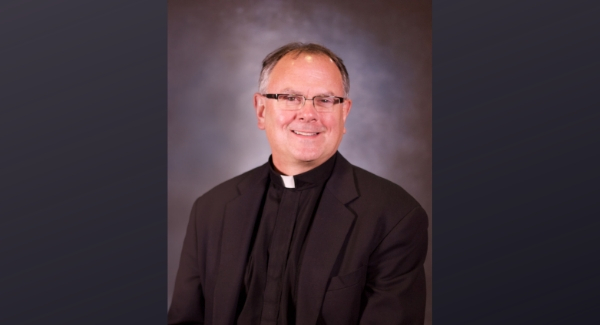 Father Joseph Gile, S.T.D., associate professor of theology and priest of the Wichita diocese, has been named dean for the new school. Gile said creating the school is a great step in continuing to build a solid relationship between the Catholic community and Newman. Newman and the Diocese of Wichita formed a partnership in 2017, establishing a two-year formation program for its seminarians called the St. Joseph House of Formation. This past year, the program expanded to three years and this week the diocese announced a fourth year will be added in fall 2019. Last fall, Newman established a similar association with the Little Rock House of Studies. This newest partnership began when St. Gregory’s, located near Oklahoma City, had to close its doors. Newman University President Noreen M. Carrocci, Ph.D., is excited about the new school and what it means for the future of Newman and its students. Gile believes the new school will be attractive to Catholic students and their families. Courses are offered both on campus and online.